Review- Bloom by Bord Bia - Nik Nak Food. Bloom is a summer garden and food festival in Dublin that is organised by Bord Bia, the Irish government’s food and horticultural board. 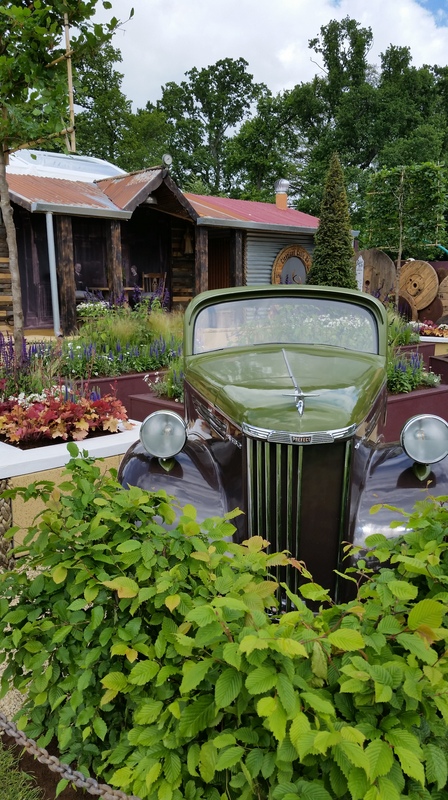 It has gone from strength to strength since 2007, with its food village and show gardens gaining recognition on the world stage, and has become one of the jewels in the crown of the Irish festival season. The event is held in the Phoenix Park in the heart of Dublin, over the June Bank Holiday weekend. It is a large scale event showcasing both boutique and mainstream producers of quality products, as well as hosting events focusing on food, gardening, crafts, music and fashion. 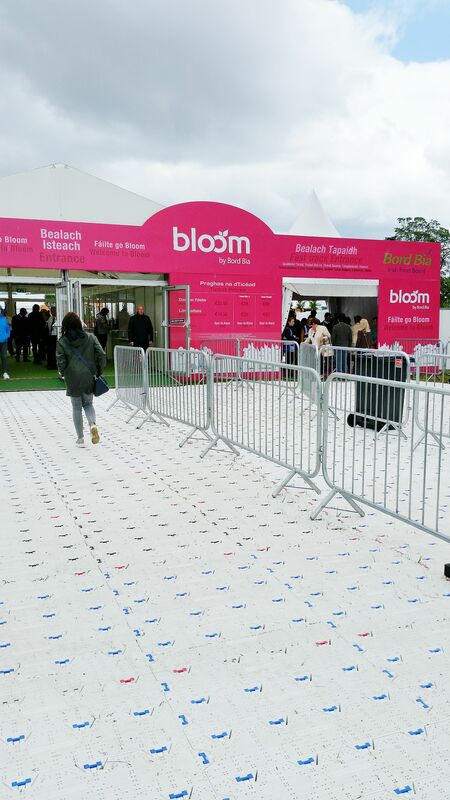 There are 110 food and drink exhibitors at Bloom, many of whom use this festival to launch new products. As well as the Food Village, there is also a bistro, a cafe, a seafood bar, the Bloom Inn, a BBQ area and a fayre and farm shop. Each day there are five demonstrations on the Kitchen stage, as well as food related discussions, such as the future of food and clean eating, on the GIY (Grow It Yourself) stage. Access to the festival from the city is well catered for, with a free shuttle bus leaving regularly from Heuston Station. There is also ample parking nearby and easy access to taxis. Alternately, it is an hour’s walk from the centre of Dublin. Those traveling with Iarnrod Eireann can avail of a €2 discount on fares and parking facilities for bicycles is provided. 2018 Edit: Admission is €25 for one day, €42 for two days. Children under 16 go free. The discrepancy between buying tickets on the door on online have been fixed from last year, so they work out roughly the same price once fees have been added. The abundance of free samples! Pretty much every single exhibitor offered a free sample and the standard was high across the board. My favourite samples were from Kerrigan’s Mushrooms, the Farmer’s Daughter and Improper Butter, which I assembled into a “recipe” below. The variety of products available. The array was truly impressive and catered to many, with gluten-free, dairy free, vegetarian, vegan, and paleo options all represented. Neven Maguire: an absolute gent and a talented chef with a phenomenal passion for Irish food. His demonstration on the Kitchen stage was well worth watching. He is so popular at Bloom that I recommend arriving well before his demonstration starts. 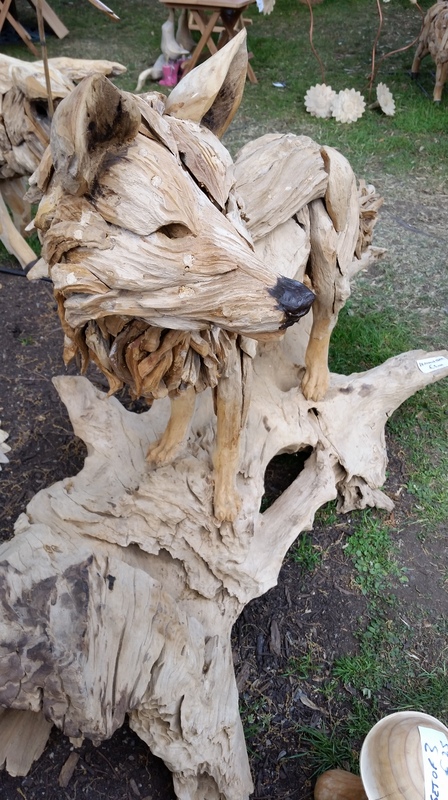 Not at all food related but I totally fell in love with this wooden sculpture. And I loved this garden, Rustica Hibernia. Come early. The indoor areas were jammed from around 12.30 onwards. Midweek is quieter than the weekend. Bring a cooler bag. Strangely, I couldn’t find any for sale, so I didn’t buy nearly as much as I could have. Follow the package instructions for the garlic breads. They will bake for 10 minutes. Follow the package instructions for the beef burgers. Personally, I cooked them on a medium- high heat with a dash of olive oil for 5 minutes. They had a nice crust and were slightly pink and juicy in the centre. Allow to rest for 5 minutes. 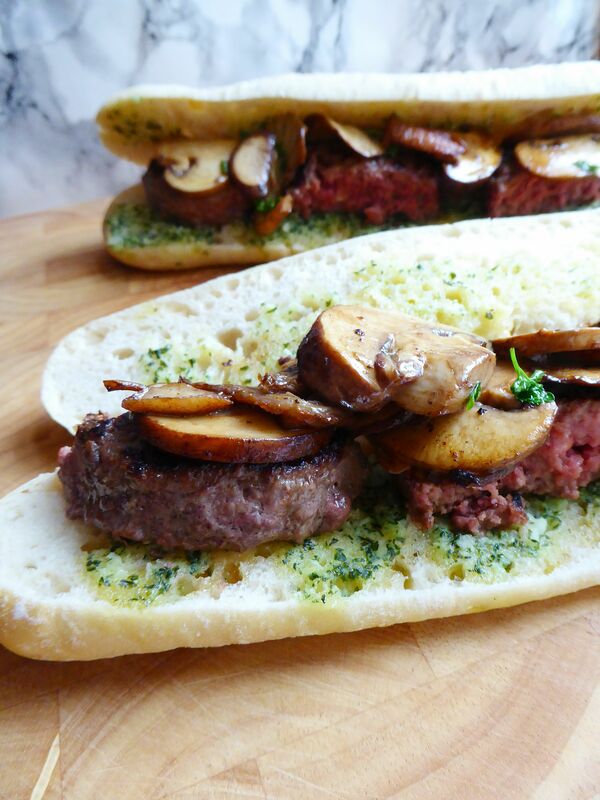 Whilst frying the beef burgers, add the mushrooms to the frying pan. Stir often. *** The organisers of Bloom were kind enough to give me a complimentary ticket for 2017, however I would have still attended regardless and did not request nor receive preferential treatment from the organisers or exhibitors. ***I am not affiliated with Improper Butter, The Farmer’s Daughter, Kerrigan’s Mushrooms or any of the exhibitors associated with the festival. I have not and will not receive any financial or other benefit for this “recipe.” I just think they’re pretty awesome. Interesting post, the fare prices were quite beneficial. I have to go next year! Definitely worth adding to next year’s diary. Great post Annik, the demo stage is mighty impressive isn’t it? 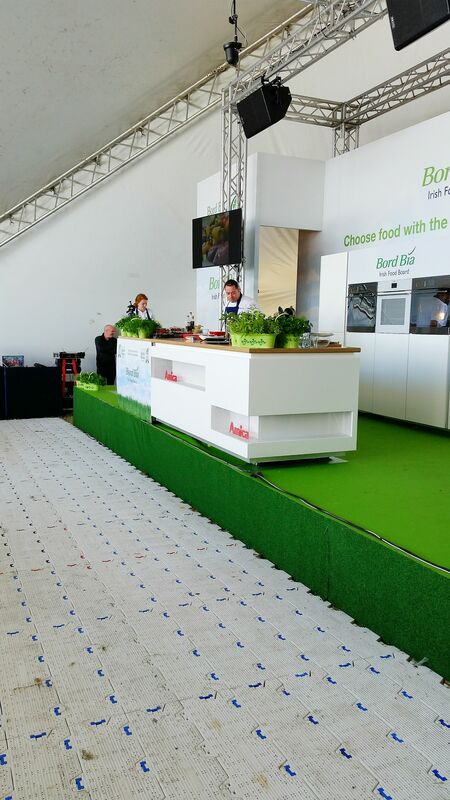 I saw Catherine Fulvio there last year and was very impressed with the whole set up. Was this your first time there? Despite wanting to go for years, this was my first time. Definitely not the last!